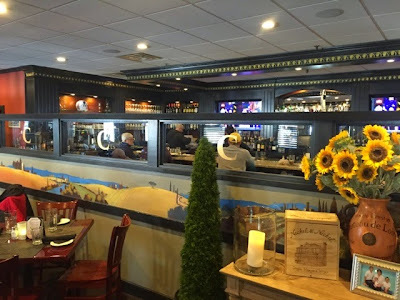 If you've ever been to the Attleboro, Massachusetts area, you've probably heard of Luciano's, Lake Pearl and the Colonel Blackington Inn. Now, Luciano has opened another restaurant, Canova Italian Bar & Grill. 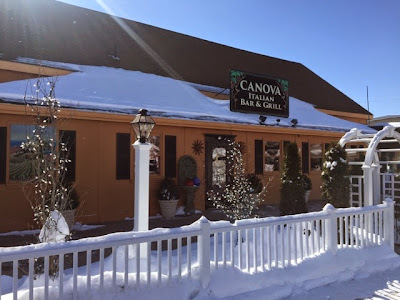 Canova is a more casual restaurant, but the food is just as spectacular here as it is at all of his other restaurants. Appetizers include mozzarella caprese, fried mozzarella, calamari, pan-fried eggplant, meatballs and chicken wings. Do your taste buds a favor and order the arancini. 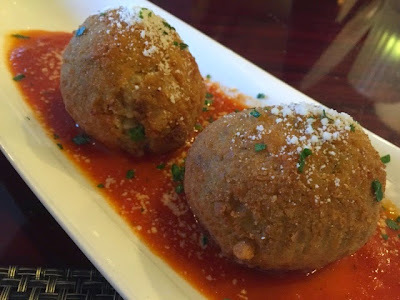 They are parmesean crusted dumplings filled with risotto, cheese, pork, veal, ground beef and peas. They are served on top of just enough marinara sauce. I can't begin to tell you how delicious they are. I enjoyed one of their lunch specials, the lasagna alla bolognese. 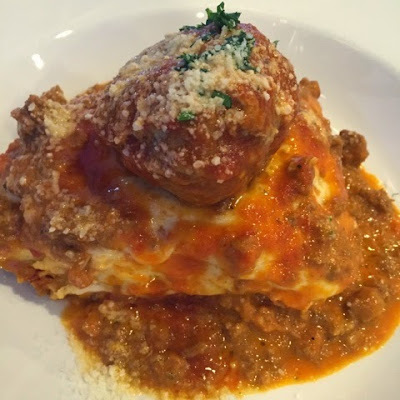 This hearty dish comes with a generous portion of meat, lots of melted mozzarella and if that wasn't enough, it was topped with a meatball! What a perfect meal. Other pasta dishes on the menu include classics like spaghetti alla carbonara, trortolloni alla primavera, fettuccini alla bolognese and fettucci alla alfredo. There are also several chicken dishes including marsala, chicken scampi and chicken parm. 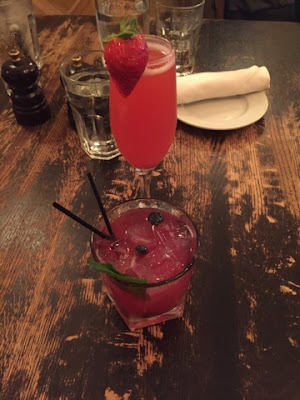 Fish entrees include frutti di mare, salmon, shrimp cacciatore and tilapia. Canova also serves several salads, burgers and pizza (after 4 p.m.). Canova does have dessert. You'll see the tempting display case when you walk in, but if you eat like me, you probably won't have any room! Luciano has done it again! Run to Canova. It's right across from the train station. 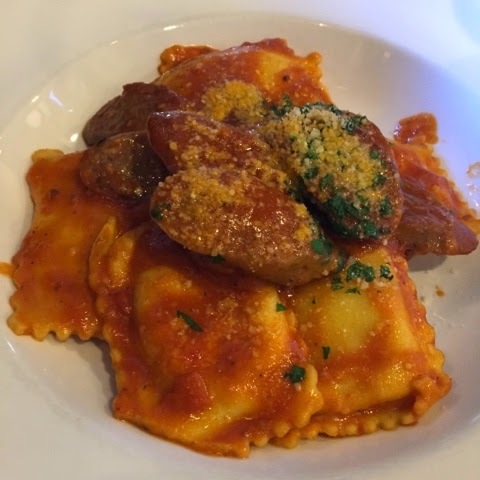 After just one meal, Canova is already an Eat Up New England favorite!